(BROWNWOOD) – Not all heroes wear capes, but some do arrive in big red fire trucks. Three Brownwood firefighters, Ron Groom, John Hendrix and Justin Prince, volunteered to further their education and attend the Texas State Technical College Emergency Medical Services (EMS) program in Brownwood to become paramedics. It almost requires superhuman strength for them to maintain a full-time class schedule while being ready to fight fires and help save lives in their community. “Any higher level of skill we can have is a benefit to the community. We usually are the first on scene, not always, but a majority of the time. So anything we can do to help is a benefit to everyone,” Groom, captain of the Brownwood Fire Department, said. 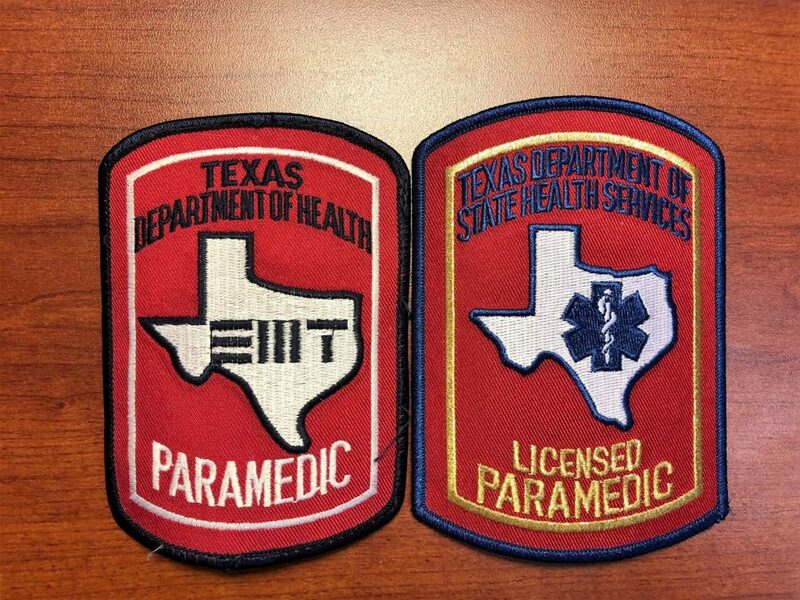 Firefighters in Texas are required to have training as basic emergency medical technicians. This is the first group from the Brownwood Fire Department to pursue paramedic licenses, the highest level for EMS responders. “I, personally, and most firefighters want to be the best firefighters we can be. With our call volume being a majority of EMS, it’s essential that we have that training to be the best on those calls,” said Hendrix, who is a driver for the Brownwood Fire Department and a part-time firefighter with the Early Fire Department. Besides providing a higher level of service for the community, becoming a paramedic offers an opportunity for promotion within a fire station and is a bonus when applying with other stations. According to projections by O*Net Online, Texas can expect increases in emergency medical technician and paramedic jobs of 20 percent and municipal firefighter jobs of 17 percent by 2026. “There’s a huge need for first responders. Paramedics, especially in the Brownwood area, are in large demand. 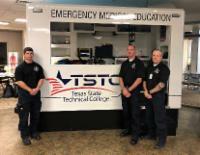 These guys are helping to fill a need in the community,” Stephanie Young, EMS instructor at TSTC, said. Working in a smaller department has benefits because firefighters train in a variety of fields, but it also offers challenges. The Brownwood Fire Department encourages anyone interested in becoming a firefighter or entering an EMS field to visit the station or TSTC and ask questions. Texas State Technical College, log on to tstc.edu. Three Brownwood firefighters, pictured left to right, John Hendrix, Ron Groom and Justin Prince, are working toward their paramedic associate degrees at TSTC in Brownwood. This entry was posted in Brownwood, West Texas and tagged Brownwood, EMS, EMT, Fire Department, Firefighter, Paramedic, Texas, TSTC on March 5, 2019 by Sarah Trocolli.